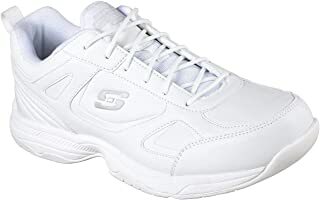 Men's shoes come in many styles and designs, but compared to women's shoes men's shoes are MUCH more manageable. The most important characteristics of shoes are their COLOR and STYLE. In general men's shoes fall into the following styles: fashion shoes, running shoes, dress shoes. We'll look at them in detail below. Fashion shoes are shoes with a stylish design and are almost always for casual wear. Photo #1 shows a pair of royal blue fashion sneakers. 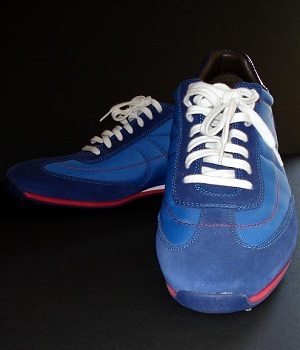 These blue fashion shoes are great for matching a similar colored top such as a blue polo or a blue t-shirt! Running shoes are shoes you wear to perform physical activity such as running or playing a sport. They are also known as sports shoes and tennis shoes. 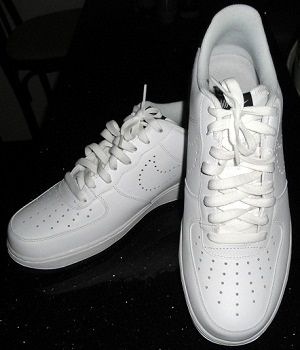 Photo #2 shows a pair of Nike white tennis shoes. They match a white top very well! The majority of men's dress shoes come in black. Black dress shoes are a no brainer; you wear a suit and you wear black dress shoes. 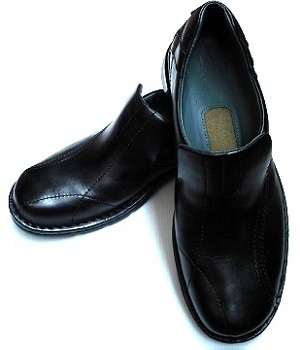 Photo #3 is a pair of ALDO black leather slip on dress shoes. Another EFFECTIVE way to wear black dress shoes is wear a black leather jacket or a black pea coat. 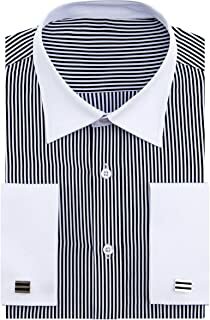 You'd look AWESOME! Photo #4 shows shoes of may colors. Color is one of the keys about shoes. In general the color of your shoes should appear somewhere else in your attire, but in cases where you want your shoes to stand out this rule does not apply. For example you can wear all neutral colors from top to bottom but wear warm colored shoes such as red fashion sneakers. Your bright red shoes will be sure to attract everyone's attention! 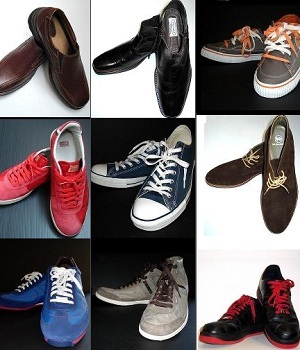 Men's shoes are made by many well known brands including Diesel, ALDO, Converse, Nike, Cole Haan, even H&M. To me brands are important in that they represent the design and qualities of the shoes. For example Converse is almost always associated with casual, durable canvas shoes. ALDO may be associated with slip on and dress shoes with great style and affordable prices. That said the key to wearing the right shoes still lie in the shoes' color and style!